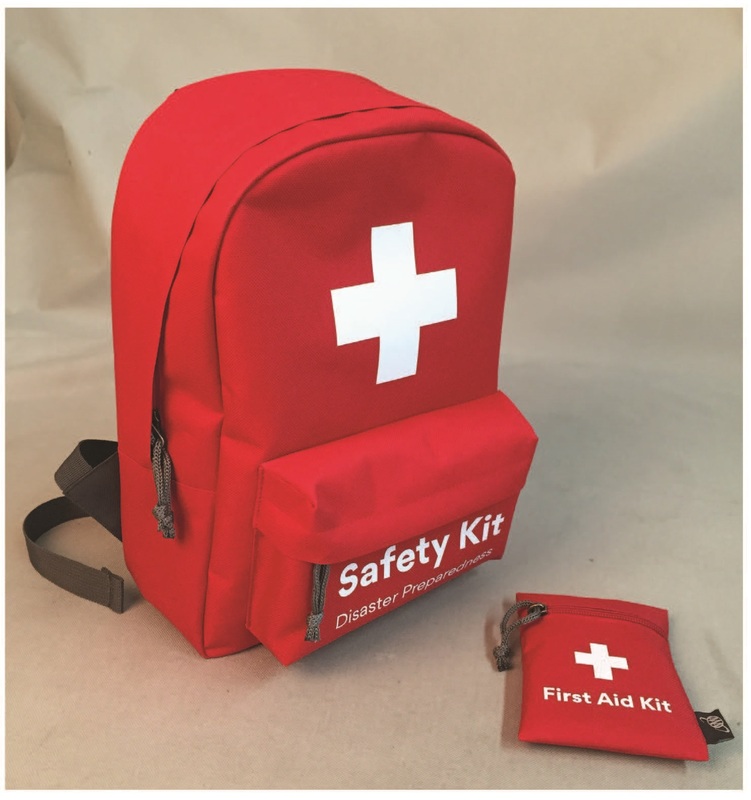 On Monday, June 25, at 4:00 PM., the Community Emergency Response Volunteers of the Monterey Peninsula (CERV) will launch an effort to put 5000 free Emergency Response backpacks into the hands of local individuals with disabilities. CERV will join forces with the Automobile Association of America (AAA) at the Monterey Conference Center’s Monterey Ballroom to help spearhead this unique county-wide effort to raise the disaster preparation levels of the people who will be most vulnerable when a disaster or emergency next hits the Monterey area. AAA is donating the backpacks, and CERV is orchestrating the tricky logistics needed to get the packs quickly into the hands of 25 local non-profits that serve people with disabilities, access and functional needs. CERV and other members of Monterey County’s Access and Functional Needs Working Group (American Red Cross, Central Coast Center for Independent Living, Community Foundation for Monterey County, Monterey County Office of Emergency Services, United Way) are actively supporting each agency’s individual efforts to use their backpack distribution as a way to foster improved preparation for the need to evacuate or shelter in place during the next disaster. Volunteers from CERV and representatives from Monterey County’s AFN Working Group (Red Cross, Central Coast Center for Independent Living, CERV, Community Foundation for Monterey County, Monterey County’s Office of Emergency Services) will be working on distribution. Distribution partners include non-profit organizations, government agencies, and faith-based groups from Monterey, Santa Cruz and San Benito Counties who serve people with disabilities, access and functional needs (AFN), including children and adults [Aptos, Aromas, Ben Lomond Big Sur, Bonny Doon, Boulder Creek, Cachagua, Capitola, Carmel -by-the-Sea, Carmel, Castroville, Del Rey Oaks, Felton, Gilroy, Gonzales, Greenfield, Hollister, Live Oak, Marina, Monterey, Pacific Grove, Pebble Beach, Prunedale, Sand City, Salinas, Santa Cruz, Seaside, Soledad, Watsonville. Gateway Center Of Monterey County Inc.
CERV of the Monterey Peninsula (a non-profit 501 (c) (3 organization) supports local Community Emergency Response Team programs and community awareness about emergency preparedness/capabilities to respond to natural disasters and man-made emergencies. CERV supports local CERT preparedness programs through networking, grant writing, workshops, collaborating with local businesses/organizations, and co-sponsoring community events.